Economic growth predicted for the Upper Midwest through 2020 would as much as double the load on transportation infrastructure of the region. Public resources and commitment to transportation infrastructure, as of now, appear hard pressed to simply maintain existing infrastructure. Prospects for adding capacity are limited, at best. The reality? Either we will create substantial new infrastructure or find ways to squeeze additional capacity from existing infrastructure. Probably, doing both is critical. If not, the “problems” of predicted economic growth are likely to solve themselves. Predicted growth will not occur. 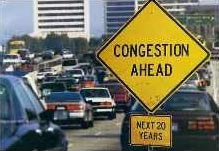 Activity will become increasingly constrained by the limits and failures of the transportation infrastructure. Freight and other travelers will come to pay more for less. Transportation and logistics dollars will simply bid up the costs of increasingly constrained infrastructure capacity. The value and return on investments in non-transportation assets in the region will stagnate or decline. The challenge is different than that faced by the nation in the 1950s, committing itself to support a growing economy by embarking on creation of the Interstate and Defense Highway System. That was mainly a public sector undertaking. The challenge, today, is to create an integrated “Interstate and Defense Transportation System”. At least one of the essential components of such a system, the railroads, is privately owned. Key information about freight needs and scheduling is also only available from private sector shippers and logistics providers. Components vital for success of the system in one state may be located in another state or under the control of a local jurisdiction or private ownership. Only a new and unprecedented level of cooperation between and among public and private sector stakeholders holds the potential for attaining the coordination necessary to achieve such an integrated system. The system must be affordable and sustainable. For freight, it must provide standards of timeliness, reliability and value which assure competitiveness of the region, nationally and globally. Why CCFC – Central Corridors Freight Committee? CCFC aims to provide private sector transportation and logistics stakeholders and their trade groups a means of promoting regional cooperation and coordination. CCFC aims to serve as the private sector complement to public sector groups (potentially, the multi-state group recommended by the Upper Midwest Freight Corridor Study), to document bottlenecks and promote solutions which are only available from a regional perspective. CCFC aims to assure that its “systems” perspective on freight mobility is understood and taken into consideration in State and local decision making and, in coordination with CCFC's regional public partners, brought to bear in setting transportation and logistics priorities at the federal level.